Loud Noises! They can ruin my day, anytime. I’m a writer, and, I’m disturbed by various noises every day. Huge trucks, cars, all kinds of vehicles, plus walking crowds and kids playing on the streets make annoying noises in my area all the time. Moving on, adding salt to the wound, and rubbing it on just a little (ouch! ), in front of my house, a karaoke rental outlet belts out loud anxiety-laden sounds all the time. If that’s not enough, technicians tinker with their booming stereo speakers all day, every day. See the picture I’m in? Irritating loud noises are my no.1 enemy. They stop me from doing my art. Thank God, noise-canceling headsets were invented! It used to be that the aviation and industrial markets are the only ones privileged to use these magical gadgets, now they are readily available from every retail outlet. Let me show you how these headphones came into being. Here’s a short history. How do noise-canceling headsets work, anyway? They utilize microphones and fancy tech processing to generate an opposite sound wave going against the one that’s on its way to your ears. Simply put—it’s an inverse sound wave. This wave on an opposite direction is sent via the headphone driver, and if done right, the wave (inverse one) cancels out any sound wave that may intrude. Say, while on a flight, the headphones supplied you will create an inverse wave to block engines’ noises. Just to elaborate—with the sound wave, you’ll hear lesser engine noise. Source: Are Noise Cancelling Headphones Worth It? The infographic below produced by infographicality.com can help you understand better how noise cancelling ear pieces work. To explicate more info about this techie-laden audio gadget, active noise-canceling headphones utilize cutting-edge technology to emit sound waves that kick out ambient noises. This “intentional destructive interference” obliterates any incoming sound (especially undesirable ones) and generates silence for the wearer. (Of course, I have to remind you, it’s not 100% silence that you hear). You will still hear a bit of noise but at least they are less irritating and distracting.) Many noise blocking gadgets also employs padded cushions. These materials will supply an additional sound barrier. The most comfortable, user-friendly, and functional earpieces use the latest audio technology to come up with pocket-comfy (easy on the budget) noise solutions. Know more about the kinds of audio devices you can choose from for your special needs from this video. The best benefit of noise reducing headsets is the silence it creates. The people who have tried the gadgets said they can better enjoy their work and other activities because they can go about minus the ambient noise in their environment. With these earpieces, music is definitely clearer and more defined (naturally, more enjoyable to listen to), audio books may be better understood, and relaxing is more readily achieved. Without the extra noise, users can enjoy the sound of silence (Almost that is). In many situations without the noise-canceling feature, pumping up the volume is the only wise option. This can be dangerous, especially during traveling on planes or in surroundings where disturbing noises are prevalent, and increasing the volume will, in most probability, become excessive. I hate to be the bringer of bad news, but this may cause irreparable hearing damage. Using these headsets, a student can study in a room next to a loud roommate, a passenger in a plane can continue working on an assignment, or a person trying to relax at a subway station enjoying a crossword puzzle can do so with fewer disturbances. With the distractions pushed aside, noise-canceling earpieces allow users to focus on their stuff without interruption, making them more productive, or if their just kicking back, they can have a more enjoyable downtime. Originally the earpieces were useful in the aviation field in eliminating engine noises for pilots’ safety measure, makers today find a wide variety of industries and markets that are desiring noise-canceling solutions. ligo.co.uk carries a line of noise cancellation headphones with limitless practical applications. Aside from the call center industry, leisure, travel, and loud industries, adults and children with special needs could take advantage of the usefulness of noise cancellation headphones. Children with hearing and speech impairments can be extremely helped by noise-reducing headphones. At best, the best noise-canceling headphones will obliterate low-frequency sound waves but permeates high frequency sounds to penetrate the sound barrier. A person with a cochlear implant could have a hard time doing their daily routines of canceling out ambient noises while listening to music. The implant doesn’t distinguish primary sound from background sounds, all sound is delivered to the wearer in the same manner. 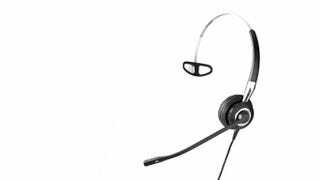 However, the earpieces with noise blocking features assist to alleviate this problem by prohibiting incoming low frequencies from coming in and pushing back noises from the surroundings. With these mentioned advantages, people with autism or impaired focus could also benefit from the reduced auditory stimulation.